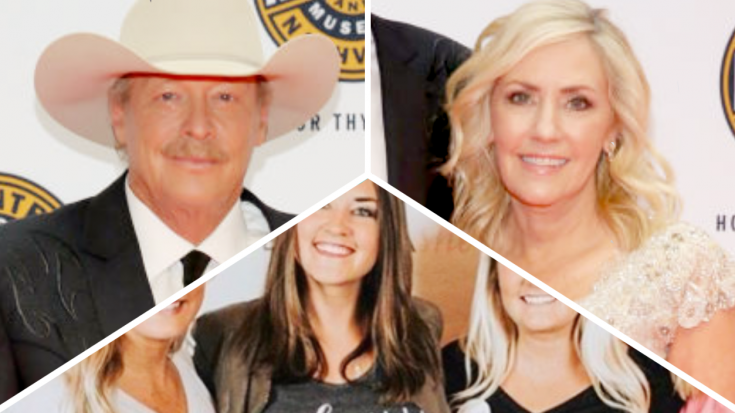 Alan Jackson and his wife, high school sweetheart Denise, were married for over ten years before they welcomed their first child into the world. These youngsters were newly engaged on Christmas Eve 1978. Today we’re celebrating 39 years together…. still livin’ on love! On June 19, 1990, Denise gave birth to a beautiful baby girl. They named her Mattie Denise Jackson, with her middle name honoring her mother. The next seven years saw the addition of two more girls to the Jackson family. Daughter Alexandra Jane was born on August 23, 1993, affectionately known by her family as “Ali.” The Jackson’s youngest child, daughter Dani Grace, was born on August 28, 1997, just five days after Ali’s fourth birthday. Now 28, 25, and 21, respectively, Mattie, Ali, and Dani are no longer the little girls who had a grand old time riding around with their father in the music video for “Drive.” They have grown into strong and beautiful women, and we have the photos to prove it. If you haven’t seen Alan and Denise’s girls in some time, you may be surprised to see just how grown up they are now! We’re throwing it way back with this first picture! That way, you can see just how much Alan and Denise’s daughters have grown in just a few short years. This photo was taken during the 38th ACM Awards in 2002. Alan went home with the award for Video of the Year for “Drive,” and since his girls starred in the clip, it only made sense to bring them (and Denise!) as his dates. They all looked so pretty in their fancy dresses! 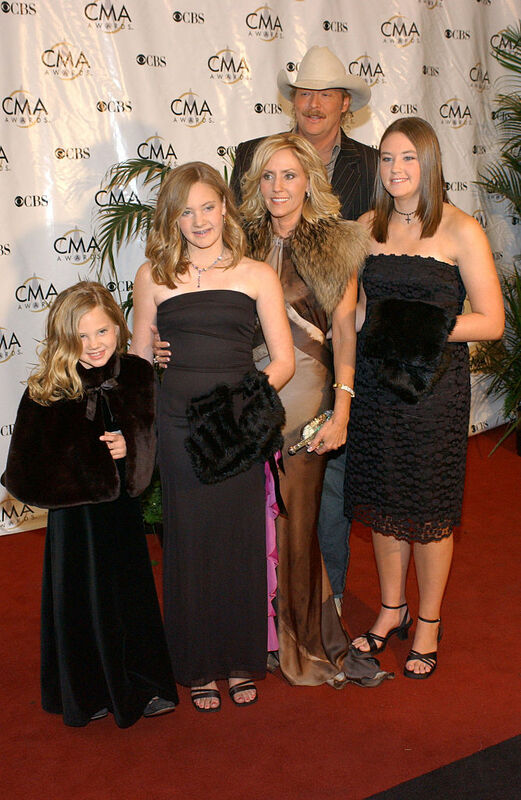 Fast forward eight years after they walked the red carpet at the ACM Awards, and Alan’s girls joined him yet again for another special event. This time he was being inducted on the Hollywood Walk of Fame. Mattie was out of school by then, as she was approaching her 20th birthday. But her two younger sisters were still just teenagers…Ali was only 16 and Dani was 12! Still, even at those young ages, you could already tell that the Jackson girls were becoming beautiful young ladies. The girls kept up their tradition of helping their dad celebrate his big accomplishments when they joined him for the unveiling of an exhibit in his honor at the Country Music Hall of Fame and Museum. This photo was taken in 2014, just four years after his Hollywood Walk of Fame induction, and in that short time the girls grew up so much! In June 2017, Alan shared this sweet photo with all three of his daughters to celebrate Father’s Day. “Best Fathers (sic) Day present is spending time with my beautiful girls,” he wrote. On October 7, 2017, Alan and Denise’s eldest daughter Mattie married the love of her life, Ben Selecman, during a gorgeous ceremony at the Jackson family estate in Tennessee. Her wedding was featured by Southern Bride, and she appeared alongside her mother and father on the cover of the Summer-Fall issue released in 2018. She was a gorgeous bride! Another beautiful photo Southern Bride shared from the wedding shows Mattie and her father sharing an affectionate moment with one another. You can see the love they have for each other in their eyes! Just a month after Mattie’s wedding, the entire family got together to honor Alan once again. This time, the whole bunch, including Ben, dressed up in their finest attire to celebrate Alan’s induction into the Country Music Hall of Fame. Now that’s one good-lookin’ family! Are you starting to notice a pattern here? Alan’s talents are too great to go unrecognized, which is why he was awarded another great honor in the summer of 2018. That was the year he was inducted into the Songwriters Hall of Fame, and of course, Denise and the girls were on hand to celebrate the occasion. They devote their time and energy to a number of causes, including providing support for widows and helping orphans. Mattie is a co-founder of NasSHEville, and sadly, her personal experience fuels her passion to help others through the organization. As beautiful as Mattie may be on the outside, her true beauty shines in her strength. In September 2018, just one month away from her first wedding anniversary, she was forced to cope with the sudden loss of her husband, Ben. The times surely haven’t been easy for Mattie, yet she, in the words of her own father, has turned her “great pain into a great purpose” to help others who have been through similar experiences. In November 2018, Mattie joined her mother and sisters at an event showcasing NaSHEville. All three Jackson girls showed their support by wearing t-shirts with the NaSHEville logo, while Denise donned a blouse in the organization’s signature bright pink shade. Alan gushed about his beautiful girls by sharing the photo on social media, and encouraged all of his followers to check out NaSHEville to support women like his daughter Mattie. In closing, Alan included a hashtag reading “#ProudOfAllMyGirls.” We think that’s the most beautiful thing of all about Mattie, Ali, and Dani. They have grown into incredible young women who make their parents proud every day. We, as fans, should be grateful that Alan and Denise have given us the chance to watch their girls’ journeys to where they are today. Because we too, are so proud of the women they have become.